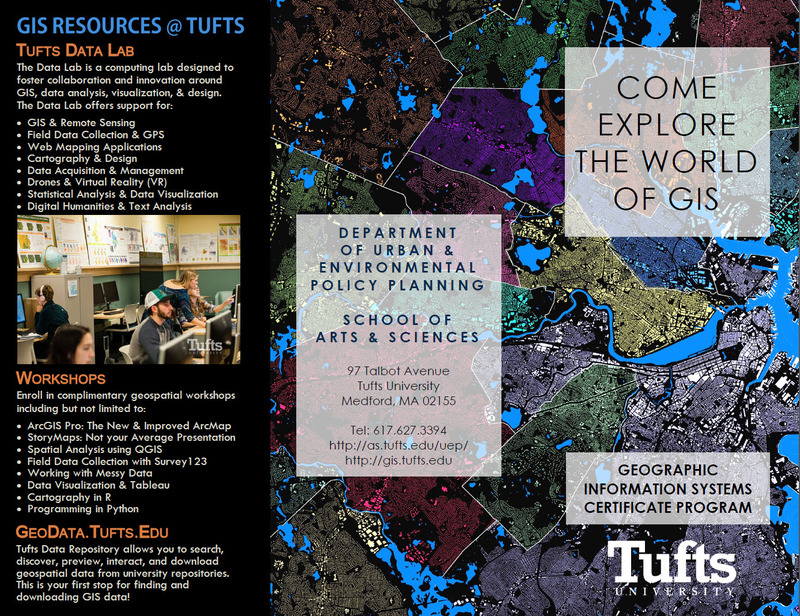 The Department of Urban and Environmental Policy Planning (UEP) offers a multidisciplinary certificate in Geographic Information Systems (GIS) for matriculated graduate students. The certificate is currently open to graduate students in all disciplines throughout the School of Arts and Sciences at Tufts University. In order to qualify for the GIS Certificate, A&S graduate students must complete four courses totaling 12 Carnegie hours. 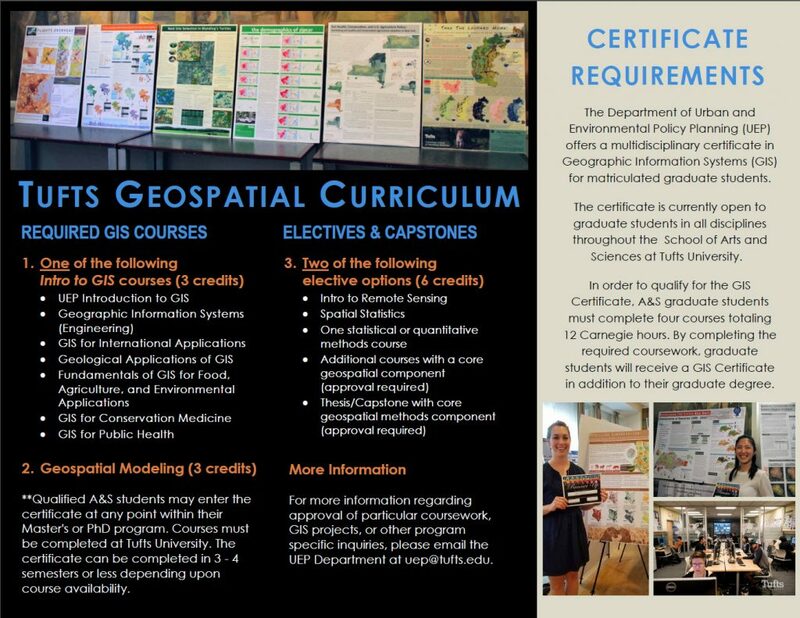 By completing the required coursework, graduate students will receive a GIS Certificate in addition to their graduate degree. See the available courses in our GIS Certificate Brochure.